If you watch movies and read blogs about watching movies, or blog with movie-like aplomb and thus spend your days (sort of like I do) plaintively “watching” the Internet, then Jonathan Rosenbaum is a man who needs no introduction. He certainly deserves a better one, no? Preeminent critic, global film connoisseur, former bandmate of Chevy Chase, opiner of Dead Man and op-ed penner upon the death of Ingmar Begman, Rosenbaum has been one of the most important figures in American film journalism for more than a quarter of a century. 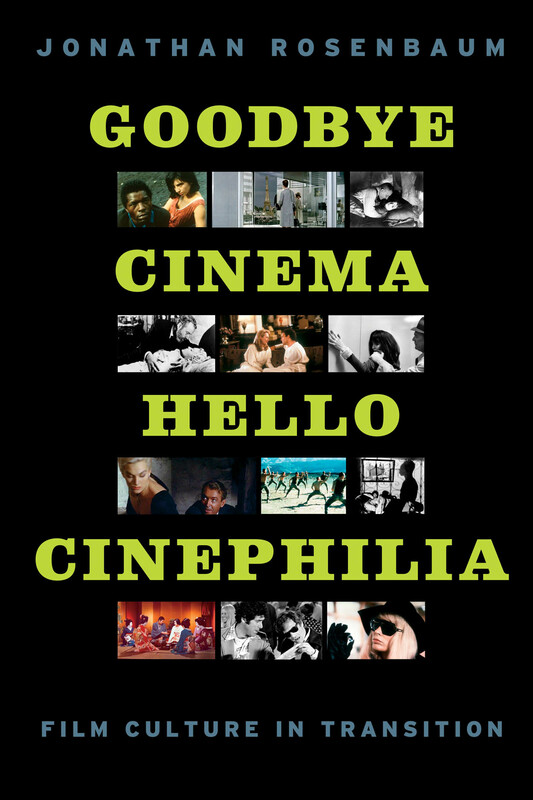 His most recent book Goodbye Cinema, Hello Cinephilia: Film Culture in Transition collects fifty pieces of his astute criticism from the past four decades, each of which showcases his passion for the way we view movies, as well as how we write about them. 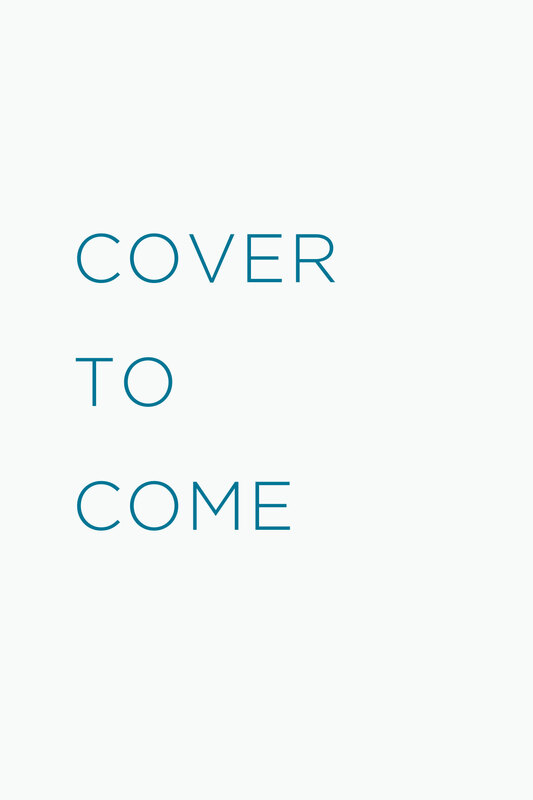 The book and its author have been receiving quite a bit of attention lately from outlets as varied as the films Rosenbaum engages, like the Onion‘s A.V. Club: Ceaselessly prolific, frighteningly well-informed on seemingly every detail of film history, and well ahead of the technological curve, Jonathan Rosenbaum has championed and contextualized many films in his 40 years as a critic. When print film criticism flourished, . . .
For a dizzying number of reasons, privacy is a highly contested issue right now. In one high-profile case, last month a student at Rutgers University committed suicide after having his privacy publicly violated by his roommate. That incident led to a great deal of discussion on a range of issues from hate crimes and bullying to the question of whether a generation that has grown up with the Internet and social media will have a radically different approach to privacy than their elders. Of course, that remains to be seen, but in the meantime Christena Nippert-Eng is here to explain to us how privacy works in the here and now. 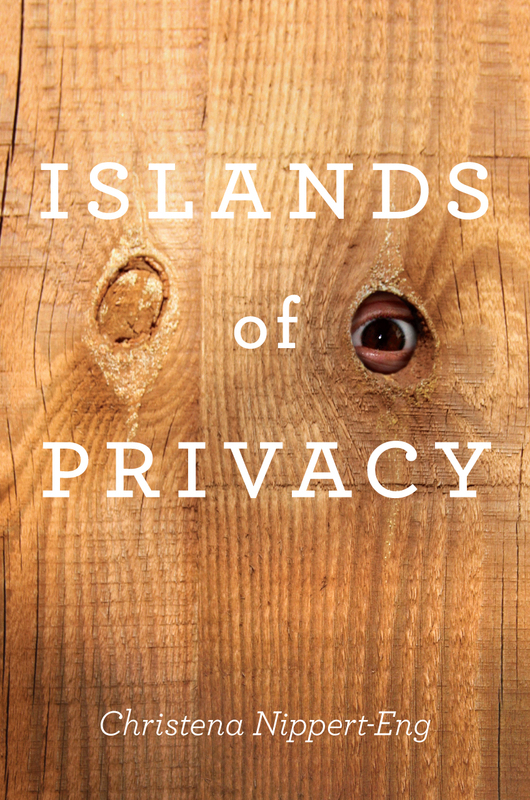 Packed with stories that are funny and sad, familiar and strange, Islands of Privacy tours the myriad arenas where privacy battles are fought, lost, and won. Nippert-Eng stopped by WBEZ’s Eight Forty-Eight yesterday to talk about these issues, to respond to some brave Chicagoans willing to spill their secrets, and to take questions on everything from cyberstalking to the relief of confession. Head to WBEZ’s newly redesigned site to listen. . . . Earlier today, over at the New Yorker‘s Book Bench blog, Jenny Hendrix alerted us to the news that the late journalist Anna Politkovskaya has been awarded PEN English’s first-ever award for literature in translation for her book, Putin’s Russia: Life in a Failing Democracy. According to Hendrix, the book “is the story of a democracy in collapse, in which soldiers are slaves, judges are corrupt, and provincial oligarchs rule,” and it paints a particularly brutal portrait of Vladimir Putin. 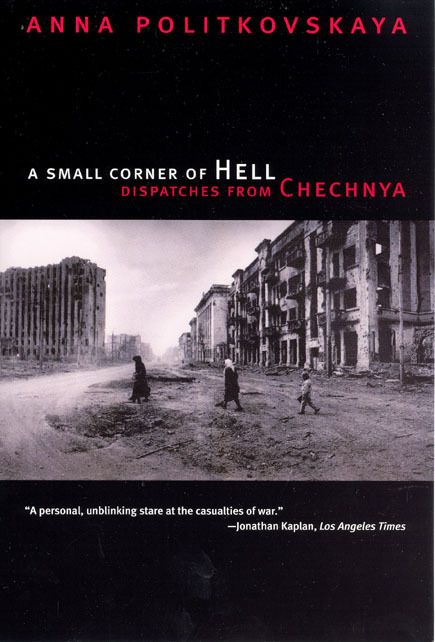 It was Russia’s war in Chechnya that ignited Politkovskaya’s fury with Putin, and her experiences there are documented in A Small Corner of Hell: Dispatches from Chechnya. Centered on stories of those caught in the crossfire of the Chechen conflict, A Small Corner of Hell recounts the horrors of living in the midst of the war, examines how the war has affected Russian society, and takes a hard look at how people on both sides are profiting from it, from the guards who accept bribes from Chechens out after curfew to the United Nations. (You can read an excerpt from the book here.) The conclusion of Hendrix’s post is a moving testament to the legacy of this courageous journalist, who was . . .
Oh, the British Invasion! It’s nearly fifty years later and moony Keith Richards’s mug, cigarette dangling, is still greeting visitors to the New York Times’s homepage. What Stone is left unturned? But seriously: what else could possibly make aficionados of this particular Glimmer Twin all (ahem) a-Twitter? Plenty, says Janet Maslin, in her review of Richards’s new autobio Life, one of many pieces on the book that dot the web today. In ironic contrast to the title of Richards’s tome, however, the Guardian broke some sad news this morning: the death of Ari Up (Arianna Forster), lead singer of the celebrated British post-punk band, the Slits. Ari Up embraced the potentials of her name: as a vocalist and songwriter, her chaotic and high-energy performances in the late ’70s helped to redefine what was possible for women in music. She confronted norms with vocal guns ablaze: ferocious under her bow-tied and stiffed-up hair, Ari looked like a mad electrician’s daughter, with ripped tights and a nod to the Rastafarians. The Slits only made a few albums (’79’s Cut and ’82’s Return of the Giant Slits, some demos, and a later reunion EP), but their combination of reggae-infused rhythms and avant-garde experimentation . . .
As the autumn leaves begin to pile up in backyards everywhere, perhaps what all of us who groan at the hours of raking ahead could use is a reminder of the pleasures that those leaves brought us through the summer. 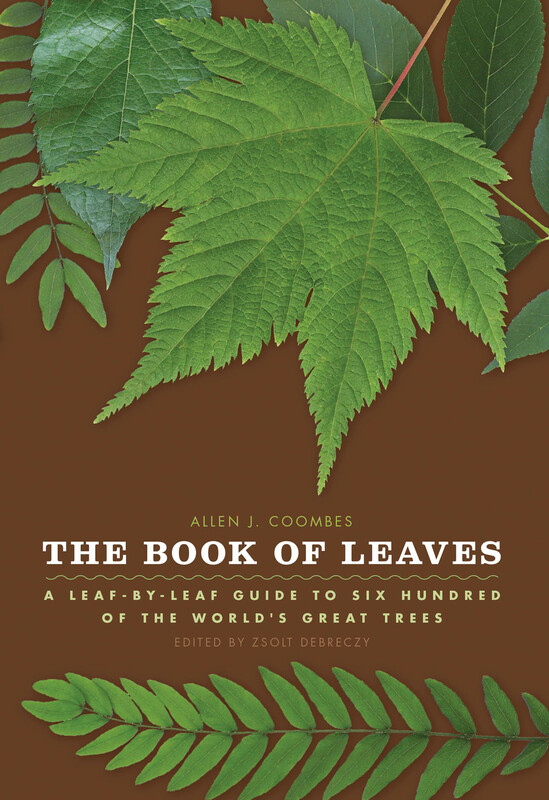 Fortunately, as Julia Keller of the Chicago Tribune pointed out on Sunday, we’ve got just that: The Book of Leaves: A Leaf-by-Leaf Guide to Six Hundred of the World’s Great Trees. Keller, after admitting that she has “lost her head and is swooning” under the influence of The Book of Leaves, writes: This big, beautiful, shiny, sumptuous and informational volume will enhance your appreciation of the natural world, but it does something else as well. It reminds you that wonderful things are often right under your nose. The most familiar entity—in this case, the leaves on the trees—often are the most enchanting, but we overlook them because they’re so common. So ordinary. The print edition of Sunday’s Tribune shared some of the visual glories of the book with readers, but those of you reading the article on the Web need not be left behind: we’ve got a gallery of images from The Book of Leaves to entice you, too. Check . . . Earlier this month the State University of New York at Albany announced “that the university was ending all admissions to programs in French, Italian, Russian, and classics, leaving only Spanish left in the language department once current students graduate. The theater department is also being eliminated.” Over the weekend the New York Times asked a panel of scholars to respond to this news, wondering how necessary the study of French really is. 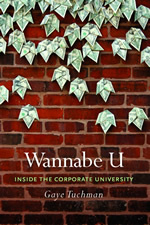 Among their respondents was Gaye Tuchman, author of Wannabe U: Inside the Corporate University, who argues that “ending programs in the arts and humanities because they are not making money transforms universities into trade schools. This corporatization of colleges and universities has already squelched the notion that higher education is a public good.” The process of corporatization is one Tuchman has studied extensively, as seen in Wannabe U, which tracks the dispiriting consequences of trading in traditional educational values for loyalty to the market. In a recent essay for the Chronicle Review, Tuchman examined the effects of one particular trend that universities have borrowed from corporations: an obsession with measuring success numerically. After detailing the various ways faculty and administrators have collaborated in developing an “audit culture,” Tuchman . . .
Saturday’s Wall Street Journal featured a lengthy appreciation of the work of Gustav Mahler, tied to a new book by Norman Lebrecht, Why Mahler?. In the article, Leon Botstein points out that this year and next offer two Mahler anniversaries, first of his birth and then of his death, But even without an anniversary to celebrate, Mahler’s music dominates the symphonic repertoire all over the world. Indeed, we have been experiencing Mahler mania for almost four decades now. Fortunately for Mahler fans, Mahler mania extends to books as well, and Botstein’s article comes with a useful sidebar listing of key works on Mahler’s life and music. 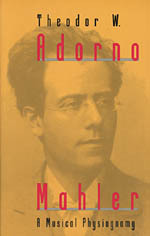 One of those is our own Mahler: A Musical Physiognomy, by Theodor Adorno, which Botstein calls “the most challenging interpretation of the music.” Given the depth of Adorno’s engagement with music throughout his career, it’s no surprise that his writings on Mahler are challenging—nor that they’re insightful enough to be worth the trouble. For Adorno, writes Botstein, “Mahler’s music was unsentimental: a reaction against Romanticism and a harbinger of Modernism. . . an exercise in the use of art as an instrument of ethics.” For more information about Adorno’s book, go here. And if . . .
It’s that time of year again—the Great Chicago Book Sale is back! Now through February 28th, 2011 you can browse our print or online sale catalog for huge discounts on hundreds of general interest, scholarly, and award-winning books. Just use promo code AD9470 when you check out through our secure online shopping cart to receive up to 80% off some of your favorite UCP titles. (You can find more detailed instructions on our website.) To get you started, here’s a list of some of our staff picks from this year’s catalog: At its opening on July 16, 2004, Chicago’s Millennium Park was hailed as one of the most important millennium projects in the world. “Politicians come and go; business leaders come and go,” proclaimed mayor Richard M. Daley, “but artists really define a city.” Part park, part outdoor art museum, part cultural center, and part performance space, Millennium Park is now an unprecedented combination of distinctive architecture, monumental sculpture, and innovative landscaping. Including structures and works by Frank Gehry, Anish Kapoor, Jaume Plensa, and Kathryn Gustafson, the park represents the collaborative efforts of hundreds to turn an unused railroad yard in the heart of the city into a world-class civic . . .
Isaac Newton’s influence on modern science is immeasurable. But Newton was also profoundly invested in the study of alchemy, a notorious pseudoscience that has been often dismissed as either a delusion or a scam. 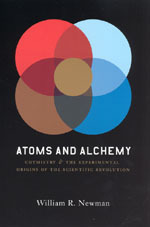 However, this view of alchemy has been under revision in recent years, a process driven by the work of scholar William R. Newman, who has led the investigation into the links between alchemy and the scientific revolution. In a New York Times article exploring Isaac Newton’s interest in and experiences with alchemy, Natalie Angier draws heavily on Newman’s insights into the history of what should be more properly understood as a kind of protochemistry. While the famous quest to turn lead into gold didn’t pan out, Angier notes that the alchemists’ “work yielded a bounty of valuable spinoffs, including new drugs, brighter paints, stronger soaps and better booze. ‘Alchemy was synonymous with chemistry,’ said Dr. Newman, ‘and chemistry was much bigger than transmutation. '” Far from the puzzling pursuit of an otherwise brilliant scientist, alchemy proves to have played an important part in Newton’s legacy as a physicist: Dr. Newman argues that Sir Isaac’s alchemical investigations helped yield one of his fundamental breakthroughs in physics: his discovery . . .
We were saddened this morning to hear of the passing of Carla Cohen, longtime co-owner of Washington, DC bookstore Politics and Prose. An obituary in the Washington Post called Ms. Cohen, “an exuberant force behind the evolution of Politics and Prose from a simple storefront into an institution that defined Washington’s literary scene,” and those of us who work in publishing will miss her energy, commitment, and love of good books. The Politics and Prose Web site has details about an upcoming memorial service, as well as a page for longtime customers and friends to leave condolences, tributes, and remembrances. . . .